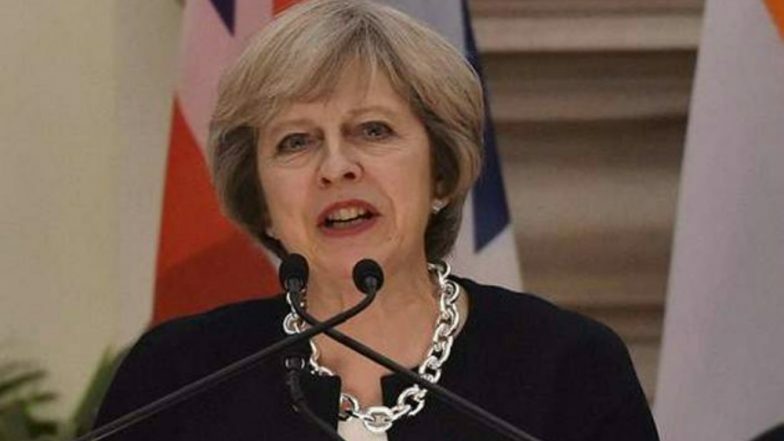 London, April 9: Proposals to force British Prime Minister Theresa May to delay the date of Brexit -- again -- on Monday were approved by both the House of Lords and House of Commons. With just days to go before the Brexit deadline on April 12, May will now have to ask the European Union (EU) to extend Article 50 in order to avoid a no-deal Brexit, Xinhua news agency reported. British Prime Minister Theresa May Turns to Opposition to End Brexit Impasse. The cross-party proposal was raced through the House of Commons in a single day last week and has completed its journey through the House of Lords on Monday night. The House of Lords made two changes to it that removed a significant sting for the prime minister, which was signed off by the lower house on Monday.